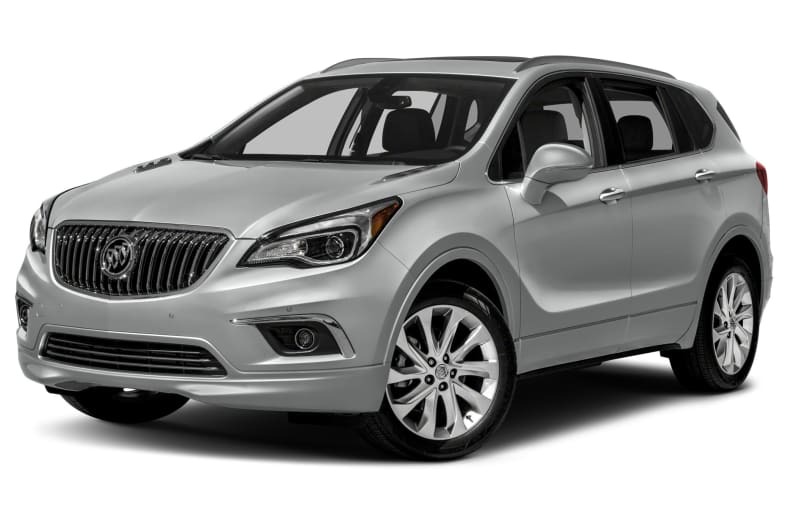 The all-wheel drive 2016 Buick Envision is an all-new small SUV that is well-equipped and luxurious. Equipped with a powerful turbocharged engine, six-speed auto transmission, and a lengthy list of driver aids and safety features as well as a comfortable interior the Envision is a refined choice. The Envision is available in two Premium trims. The all-wheel drive power team is a 2.0-liter turbocharged inline-4 engine producing 252-hp, coupled with a six-speed automatic transmission. Standard safety features include 4-wheel anti-lock disc brakes with brake assist, electronic stability and traction control systems, OnStar, and ten airbags. The Envision also includes Forward Collision Warning, lane departure and blind spot warning, and rear collision alert. Standard equipment includes 19-inch alloy wheels, Bluetooth wireless connectivity, IntelliLink audio system with 8-inch color touch screen, dual-zone climate control, front fog lamps, heated front seats and steering wheel, leather seating surfaces, driver seat memory system, and Bose audio system. Available features include a navigation system, panoramic moonroof, ventilated front seats, adaptive cruise control, and surround vision. The 2016 Buick Envision is all-new.